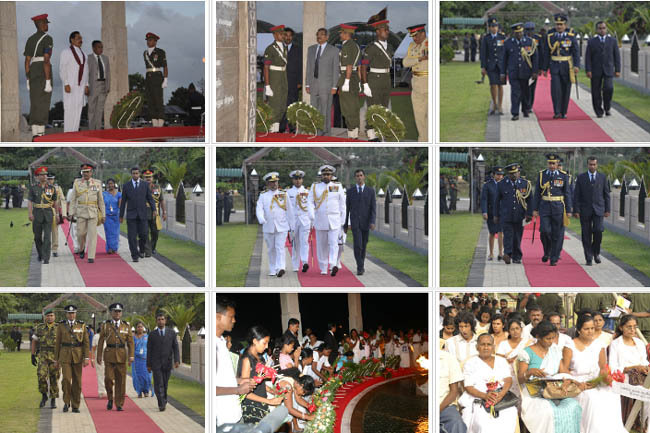 The ceremony to mark the National (War Heroes) Ranaviru Day was held to commemorate the war heroes who paid the supreme sacrifice to safeguard the sovereignty, and territorial integrity of the motherland near the Ranaviru monument at Sri Jayewardenepura, Kotte, yesterday (June 07). His Excellency the President Mahinda Rajapakse, the speaker Mr. W.J.M. Loku Bandara, Presidential Secretary Mr. Lalith Weerathunga, Defence Secretary Mr. Gotabhaya Rajapakse, Chief of Defence Staff Air Chief Marshal Donald Perera, Commanders of the Tri Forces and the IGP graced the occasion. Major General W.P.P Fernando, Chairman of Ranaviru Seva Authority welcoming the distinguished guests said the nation is indebted to the war heroes who sacrificed their lives for the sake of the motherland. He further said the commemorative ceremony held yesterday (June 07) before the Ranaviru Monument erected in 2008 is a fitting, tribute to them. Ven Prof Bellanwila Wumalarathana Nayake Thero said this years Ranaviru Commemoration Day is historic because the dreams of the war heroes have become a reality today. The nation today enjoys the real value of their martyrdom. He pointed out the astute leadership of the H.E. the President Mahinda Rajapakse has been the decisive factor in this historiac victory. Though terrorist V. Prabhakaran had said that the defeat of the LTTE was a day dream, the people today rejoice because the Ealam dream has now been shattered, thanks to the leadership of the President Rajapakse and the gallantry of the war heroes, the Ven. Prof. Wimalaratna asserted. Sri Lakshmikanth Jagadheeshwara, M.H.M.Lafir Mowlawi and Rev. Fr. Sarath Hettiarachchi blessed the war heroes, representing the Hindu, Islam and Christian religions respectively. A two minute silence was observed in honour of the war heroes. H.E. President Mahinda Rajapakse the Speaker, Defence Secretary, Tri Service commanders and the IGP along with the relatives of the war heroes placed floral tributes at the monument. The love for the motherland can never be forgotten no matter where in the world one may reside. Sri Lanka is a country which proudly claims sons and daughters of that kind. During the past few months many expatriates have donated vast amounts for the "Api Wenuwen Api" fund for the valiant soldiers who freed our motherland. Ms. Bhashini Wijerathne, an accountant residing in Australia donated a sum of Rs. 25,000 of her personal money to the "Api Wenuwen Api" fund. The sum was donated on her behalf by her father to the Additional Secretary of the Ministry of Defence Mr. Willy Gamage at a special ceremony held at the Ministry of Defence, Public Security, Law and Order premises today (04). South Asia Apparels (PVT) Ltd officers & staff donate their one day payment to the "Api Wenuwen Api" housing project. 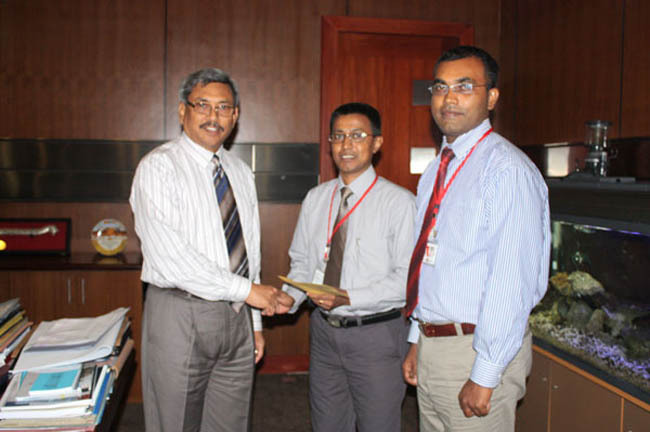 The total of Rs 400,000 was handed over to the secretary Defence Mr Gotabaya Rajapaksha in a charm ceremony held at Defence Ministry premises on 25th may 2009 Director of South Asia Apparels (PVT) Ltd Mr J. P. Senaka Jayalal and Administrative manager Mr M. Taranga Wicramaratna were present at this occasion. Showing the gratitude for the war heroes who have sacrificed their lives and limbs for defending the motherland, employees of Unichela Pvt Ltd of MAS group made a financial donation to the "Api Wenuwen Api" housing project. 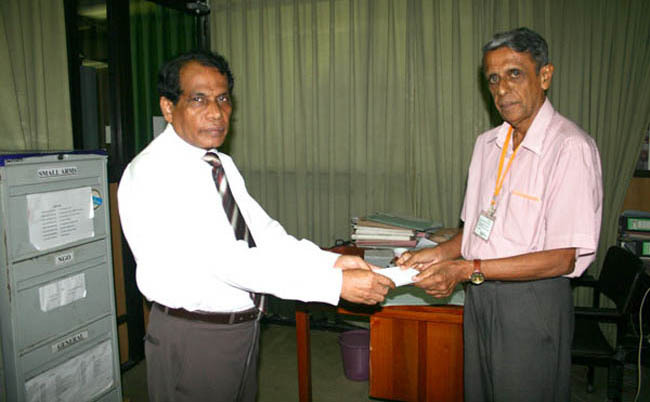 The cheque worth of 99,600 rupees was officially handed over to the Additional Secretary of the defence ministry Mr Wili Gamage by the vice president of the Unichela Employees union in a charm function head at the defence ministry premises on 25th May. Sri Lanka freedom party UK branch and SLAT UK organised a Bodhi Puja and Alms Giving on 23rd and 24th May at Sri Saddhatissa International Buddhist temple, Kingsbury, London to bless HE President Mahinda Rajapaksa, Defence Secretary Gotabaya Rajapakse, Government Spokesman for Defence and National Security Dr. Keheliya Rambukwella, Army Commander General Sarath Fonseka, Navy Commander Admiral Wasantha Karannagoda, Air Chief Marshal Roshan Goonetileke, Inspector General of Police Jayantha Wickramarathna and all the service men and women of the security forces who are rendering great service for the integrity of the motherland. A saffron robe was offered to the monks by HE High Commissioner to UK Justice Nihal Jayasinghe in memory of the war heroes who sacrificed their lives. President SLFP UK branch offered Ata Pirikara to monks. The event was well attended by devotees living in and around London. Galayaye Piyadassi thero initiated the Puja and Venerable Dr. Handuru Palpola Mahinda thero blessed HE the President and all the war heroes. Wanduramba Kassapa thero expounded on the two day ceremony and transferred merit to those who gave their lives for peace in our Motherland Sri Lanka. Finally monks chanted Paritta blessing on behalf of everybody in Sri Lanka. Sri Lanka Freedom Party president UK branch thanked everyone who supported and attended the ceremony.